“My professors in art school never taught us how to make money from our art. We were taught to create for the sake of it,” explains Natalie Merheb. In speaking with children’s book illustrator and graphic designer, Natalie Merheb, I found myself nodding my head in agreement with almost everything she was saying. 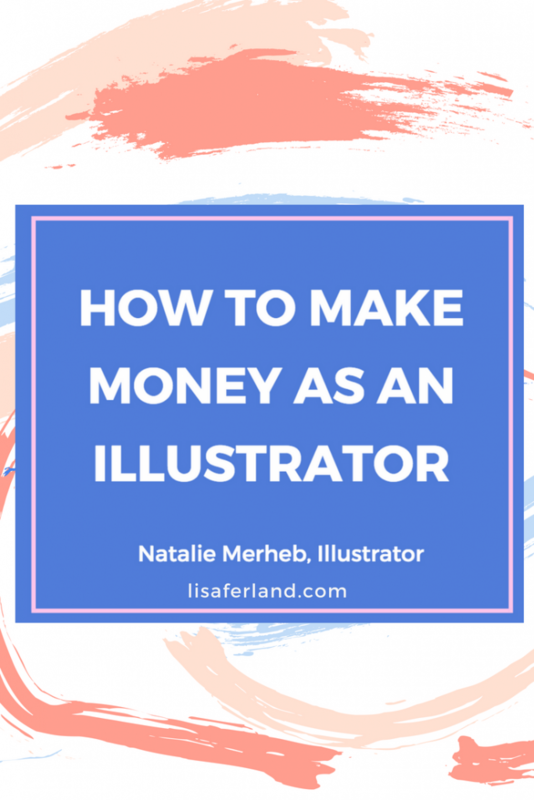 The rules for succeeding at making money as an illustrator were the same I have found as a writer—1) conduct research, 2) practice until your hand falls off, and 3) create quality content. Easy, right? Can you describe your process when you work with indie authors? If the author doesn’t do this themselves, then I will split out the text into pages. The number of lines of text will affect the design and placement of the illustrations on that page. Sometimes, just 10 lines of text will have five different actions but an illustrator can only show one action per page. I often choose what I feel are the priorities within those actions that move the story forward. I consider what action fulfills these three qualities: identifiable, remarkable, and memorable and then I illustrate that action. 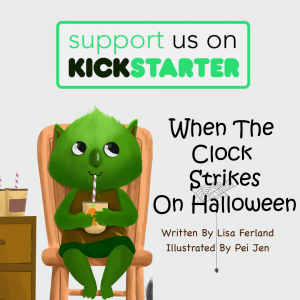 For example, if the scene is that the kids are waking up in the morning, getting ready for school, and waiting for the bus, I’ll decide to illustrate the kids waiting for the bus. The bright yellow color of the school bus is immediately identifiable, remarkable, and memorable to the kids reading the story. I also take the readers’ age into consideration as to what they’d like to see on each page. What are some of the trends in traditional illustrations? In digital art, everything is composed in layers. Since every illustration has layers, if the chicken needs to be moved and resized, I can do that very easily to create the right composition. It is easy to adjust colors in Photoshop and many watercolor paintings are enhanced in Photoshop to make the colors more vibrant. How long does it take you to create an illustration? For my clients, it depends on the quantity and complexity of the project. I calculate my time spent emailing, sketching, and revising into every illustration and budget 8 hours per spread. Illustrators should factor in all of the business aspects related to creating something for a client and build that into their payment process. What advice would you give to another artist who is looking to illustrate children’s books? Push yourself to create the best work you can and target your ideal client. They will want to hire you based on your quality of work. Within two months, I was booked months in advance and am now charging what a traditional publisher would pay its artists. Having done branding for solopreneurs, that experienced really translated into illustration. My advice is to treat any activity as an entrepreneurial venture. 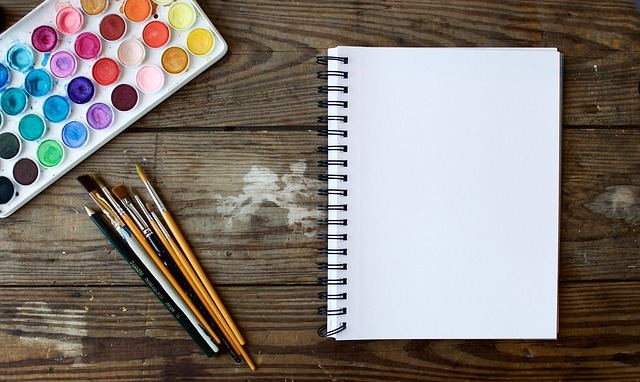 Treat your art like a business and you’ll make money. All new business ventures require a lot of research. Don’t go into anything blind and don’t try to do it at half effort. Learn the roles of the traditional publishing process and learn about marketing, aesthetic style, and trends in illustration. Prepare yourself ahead of time, make the investment, and get out there. To read the first part of the interview with Natalie, click here to learn how illustrations can make or break your book. Natalie Merheb is a children’s book illustrator depicting stories written by others, as a brand strategist & web designer crafting brand stories for small businesses. 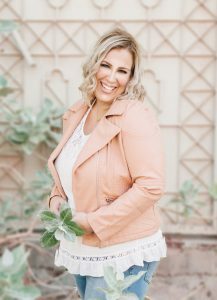 She is a mama to twin girls, wife to a fellow entrepreneur from Lebanon, daughter to parents from the USA and Argentina, a Minnesota native, and Dubai expat.